Meet lifelong Louisville resident Bella Davenport. 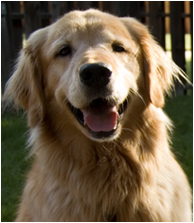 The 8 year old Golden can often be found in front of In Season Local Market or hanging around Sweet Cow waiting for someone to drop their ice cream. Looking for cherries? Get ‘em at the Farmer’s Market. Each year the market has grown thanks to the unwavering support of our community and local businesses. It now hosts 40 vendors and 11 Colorado farms. Plus delicious to-go food options and local music makes for one great morning. Check the blog for updates and musical line up. 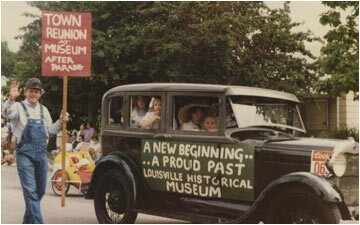 One founder of the Historical Museum has said that when the Museum’s doors opened in 1986, Main Street in Louisville was instantly revitalized; another has said that donations suddenly began to pour in. In recognition of the Museum’s 25th anniversary, this presentation will feature at least six of the original founders of the Museum: Virginia Caranci, Betty Buffo, Pat Seader, Marion Junior, Isabelle Hudson, and John Garcia. Participants are welcome to bring their lunches. What could be better than another summer eve of gazing and grazing on the streets of Downtown Louisville? Along with viewing the great artwork at Art Underground, Anthony Grant Studios, Creative Framing and Art, and Studio Monika, Creation Gallery of Fine Arts will host an opening with featured front-range sculptor Peggy Campbell. Peggy will discuss her work and demonstrate the fine art of bronze casting and the lost technique of wax process in sculpture. Located at 940 Main Street, 303-862-6866. Local photographers Wayne Lee and Maggie Snyder have released a new book Louisville: At Home in a Small Town and will be signing copies and talking about how they developed, researched and produced the book over the course of a year. The 184-page book is a collection of contemporary photography taken in Louisville and explores themes of self-reliance, community, celebration, family and traditions. The book will be available for purchase online after August 11th, and directly from the authors at the Louisville Farmers Market from August 13th through October 15th, 2011. 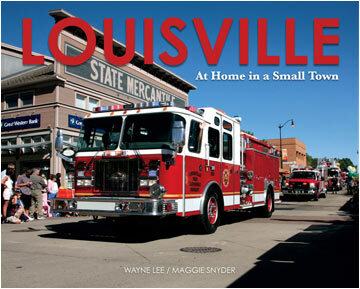 For more information about Louisville: At Home in a Small Town, please visit www.wayneleelouisville.com. Chef Deb will present “Summer’s Last – Getting Ready for Fall’s Bounty,” preparing dishes that include many of the delicious foods available in the last days of summer like tomatoes, zucchini, corn and the ever-refreshing Melon Spritzers. Cost is $15. Come share Chef Deb’s, natural enthusiasm for the farm and farmers, their unique produce and staples, and how each new recipe adds to your health and lifestyle. What is a FORK warming? Hell if we know, but we ain’t gonna miss it! Join Fork. A Social Lab and check out their warm, groovy new space. Meet the owners and learn more about Chef Dinners and special events, classes and all the other social experiments that go on there. There will also be a Candy Buffet because it’s a long year from Halloween to Halloween! For more information call Christine Vazquez at 720-226-5291.